So you’re all ready to buy your first motorcycle? This will be one of the most exciting purchases of your life, so you need to get your choice right. There are a lot of things you will need to weigh up before you even decide which bike to buy. You’ll want to make sure you can cruise down the highway without anything holding you back. To help you do that, here are all the points you need to think about before committing to a new motorcycle! There are various different types of motorcycles; each made for slightly specific purposes. Sports bikes are obviously the most powerful, so might not be ideal for new riders. Their strong engines mean they can reach top speeds which can make them tricky to control for novices. If you plan on clocking up plenty of miles on your bike, think about buying a touring motorcycle. These provide plenty of space for all your gear. They also feel comfortable no matter how long you ride them for! But for most beginner riders, a standard bike will be what you need. The engines vary slightly, so beginners should go for a smaller one. Your next decision will be whether or not to buy a new or used bike. Obviously, used ones are cheaper so will be the best choice for those who don’t have a huge budget. And new riders usually drop their bikes quite often. So it may not be a good idea to buy a brand new model until you are completely happy with the weight of bikes. Once you are a confident rider and have some money to spend, think about pushing the boat out and going for a brand new motorcycle. You won’t be able to jump on your new bike and ride it straight away. Bike lessons are very important. It is important to have lessons so that you can pass your test to ride on the road. You can find more info on motorcycle test by clicking the link. The lessons and test are super important. Not only do they keep you safe, but they also ensure that you are not endangering the lives of other road users or pedestrians. Wearing the important gear while wearing your bike is also imperative. Make sure you have a helmet and leathers to wear. These will keep you safe and protected if you have an accident and fall off the bike. Unlike the bike, don’t buy a used helmet. If a helmet has already been in a collision, it will have lost its protective ability. When you buy used, you can’t guarantee the safety of the helmet. It is always a good idea to go to a specialist motorcycle shop and ask their advisers for help. They will be able to suggest the best brands, and they can also tell you what size you will need. So don’t forget these all-important points when buying your first bike. Some of them might save your life! What should bikers look for when buying an offroad model? If, like me, you have a passion for adventure, you may want to think about getting an offroad motorbike. By doing so, you’ll have the freedom to explore a vast range of terrain and won’t be restricted to only wherever paved roads lead you. This, I feel, offers the chance for you to really experience the destinations you are riding through, and I often find that sticking to streets isn’t always the best way to get an appreciation of a place’s natural beauty. Of course, an offroad motorbike is also a great choice if you fancy taking part in amateur motocross events during your free time. No matter what intentions you may have in mind when riding such vehicle, it’s important to get the model that’s right for you. Although it should be pretty obvious that taking the time to thoroughly research what motorbike you are going to buy is something you ought to be doing at all times anyway, it is especially important to do this if you’re not going to be riding on well-maintained roads for some, if not all, of the time. Perhaps one of the most important things to look at when buying an offroad bike – be it a Honda, KTM or a Kawasaki motorcycle – is the position of the footrests. The fact these vehicles are designed to be ridden across a variety of terrain means you should expect to spend a significant amount of time standing on top of the pegs to help you take on challenging inclines and tight turns. Ideally, the footrests of the bike you buy ought to be situated as close to the centre line as possible, in order to assist you in navigating tricky conditions. You should also look for models that have adjustable inverted front forks, as these can be altered to suit your riding style and the conditions you are riding in wherever possible. 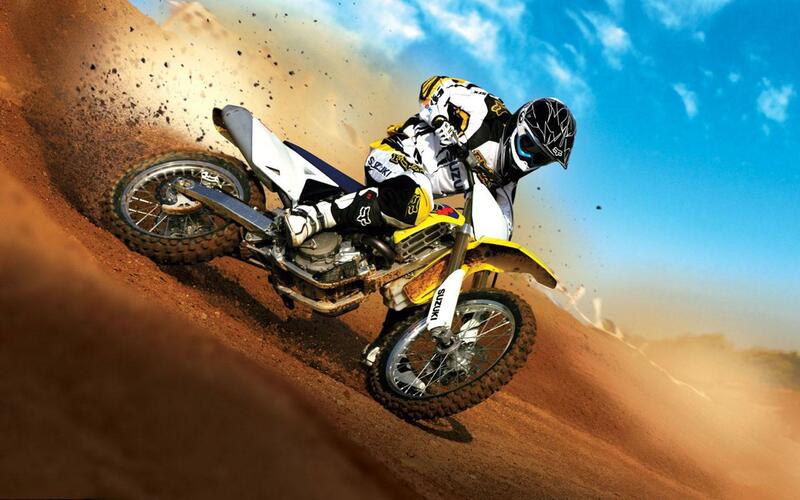 Certain offroad bikes also enable you to set the level of rear suspension provided and, as a general rule, you will find this tends to be significantly higher than that offer on standard sport models. Fairly often, you’ll find offroad vehicles have around 25 cm of rear suspension, roughly twice the level of their counterparts that are designed to be ridden on the road. If you’ve never owned this kind of bike before, you’re best off buying a second-hand model. Not only does this tend to be cheaper in comparison to purchasing a brand new vehicle, but it also means they shouldn’t cost as much to repair. This is likely to be particularly beneficial as the fact you’ll be driving across more uneven terrain means you’re at greater risk of falling off your bike and damaging it. No matter what kind of model you wish to buy or your level of experience when it comes to offroad biking, it’s always important to have a good standard of motorcycle insurance. 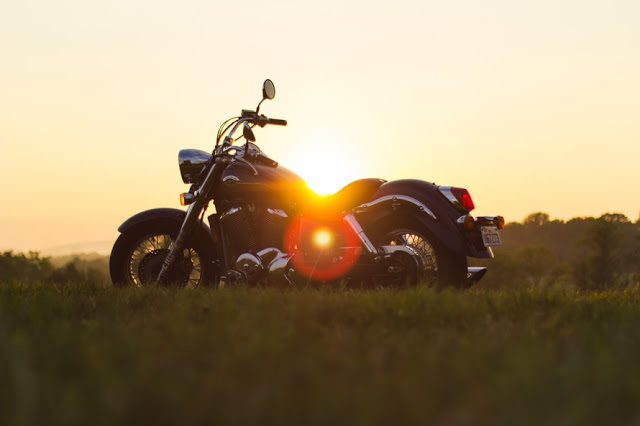 You are, of course, required by law to have cover, but you should always ensure that the particular policy you get will financially protect you and your bike at all times. Another vital thing all offroad bikers will need to think about is the kind of safety equipment to buy. While the law requires you to wear a helmet, I recommend you invest in a wide range of other gear, including an armoured jacket and chest protector, to help minimise the chances of sustaining a serious injury while riding. 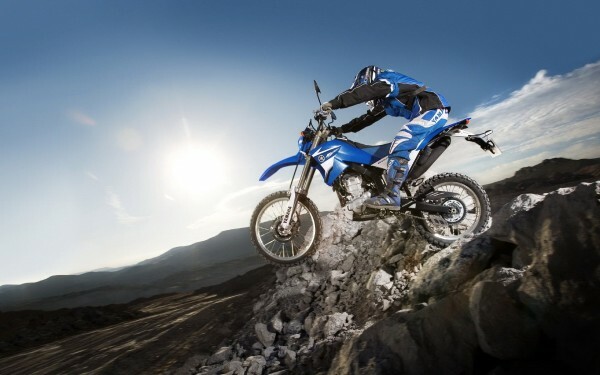 If you’re thinking of getting an offroad motorbike, what features are most important to you? Post your thoughts below and let us know.